In this sequel to Rabbit Hill, gloomy rabbit Uncle Analdas and all the other animals on the Hill are dreading a tough winter. The Folks have gone to the Bluegrass country to weather the colder months, and they have left a Caretaker and his mean dog to look after their property. The Caretaker doesn't put out any garbage worth eating, and once the snow begins to fall, food becomes more and more scarce. When some of the animals are forced to leave the Hill in search of food, Uncle Analdas decides he's had enough, and he sets out to find the Folks and bring them home again. 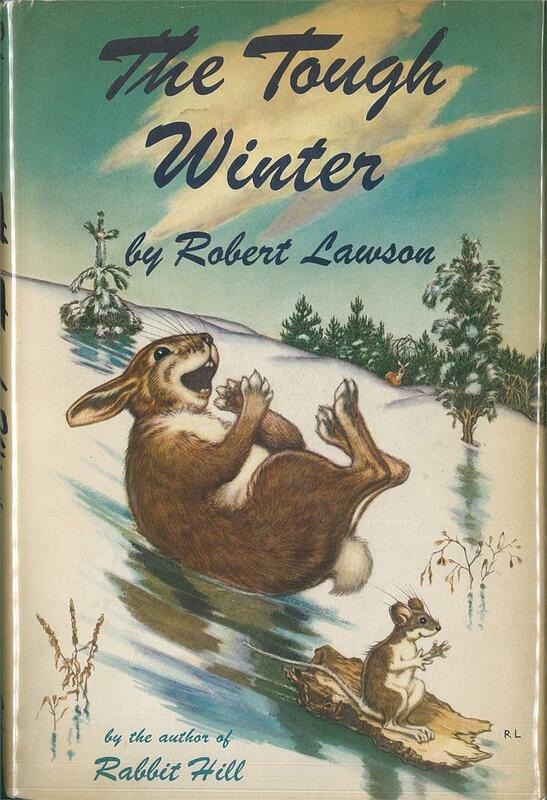 Though its text and illustrations are quite good, The Tough Winter is just not as distinctive as Rabbit Hill. In Rabbit Hill, details were revealed in such a way that the reader had a clear motivation to keep reading: to find out what sort of people the Folks would turn out to be. Because the characters were uncertain about the Folks, the ending, in which their kindness toward animals was revealed, was an emotional moment and a satisfying one. By contrast, The Tough Winter lacks an overarching conflict to carry the story. Yes, the animals are faced with surviving a difficult winter, but the reader doesn't really doubt that they will survive it. The animals miss the Folks, but there is also no question that they will eventually return. There is a bit of tension surrounding the question of whether Porkey the groundhog will see his shadow, but even this loses its gravity because the reader knows groundhogs don't actually predict the weather. This lack of suspense undoubtedly appeals to a certain type of child reader (I was such a reader as a kid), but it was frustrating for me as an adult. It also bothers me to be asked to believe that the Folks, who take such good care of the animals the rest of the year, would be so lackadaisical about who looks after their home and property during their winter vacation. In some ways, it felt like their behavior in this book negated the message of Rabbit Hill. Surely such a generous animal-loving family would be at least mildly concerned about what happens to their animal neighbors during bad weather. Overall, The Tough Winter is definitely well-written and it was fun to revisit these characters and their different quirks. While Rabbit Hill is clearly the superior book, this is still worth reading, especially for kids who love animal stories and enjoy reading seasonal tales during the holidays.